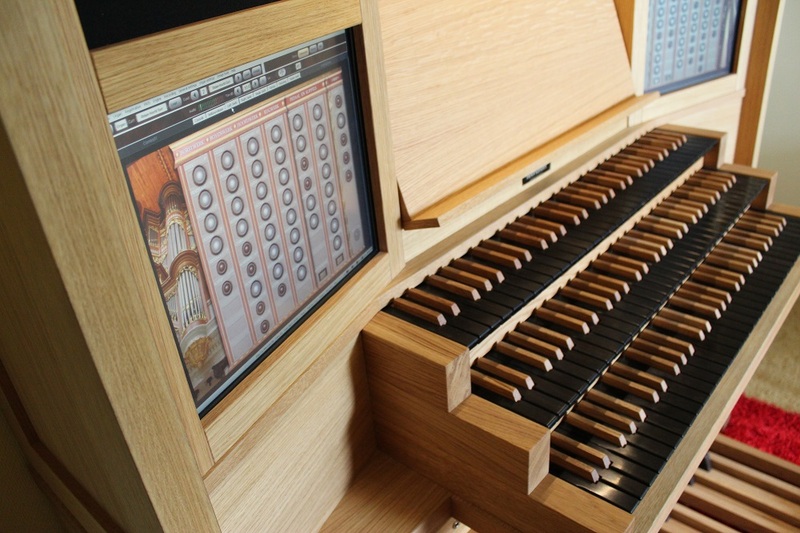 A contemporary organ design with a classic vibe. 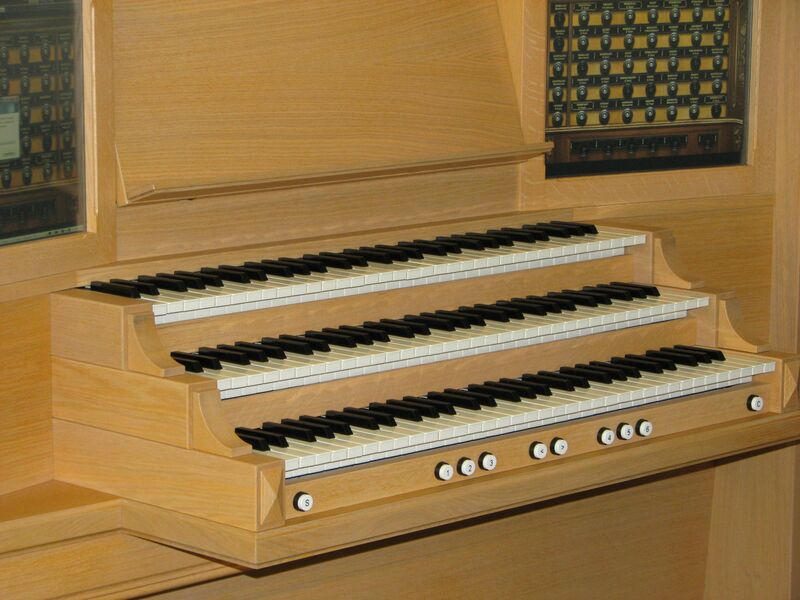 Organ sounds come into their own beautifully through excellent speakers. 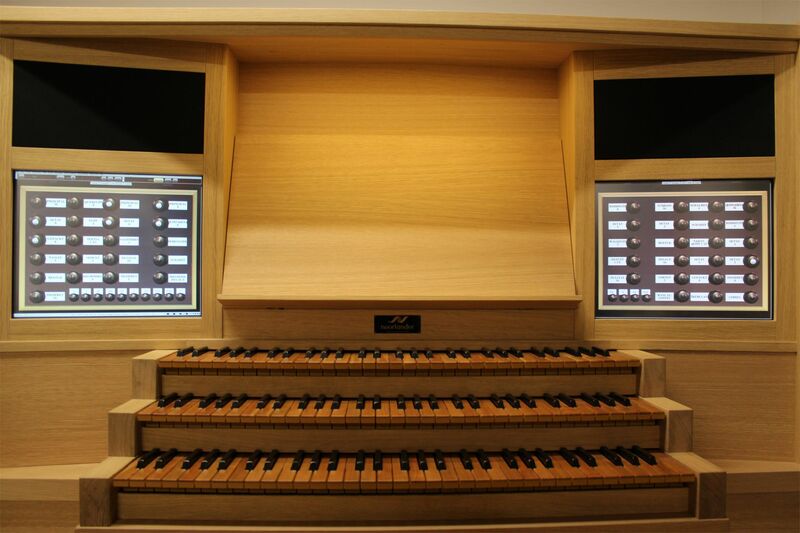 Take a seat behind the keyboards of the Sonette III and choose the organ you want to play. 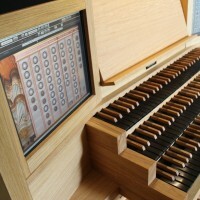 The integrated touch screens immediately show the matching disposition. 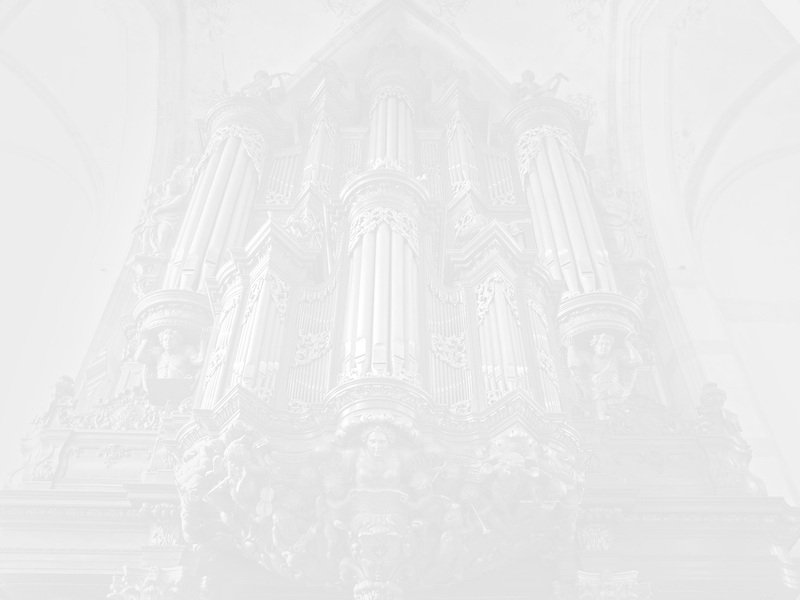 Will it be a romantic organ or baroque organ? Do you choose a sharp mixture or a soft stir flute? Will it be a filmy trio or a grand choral arrangement? 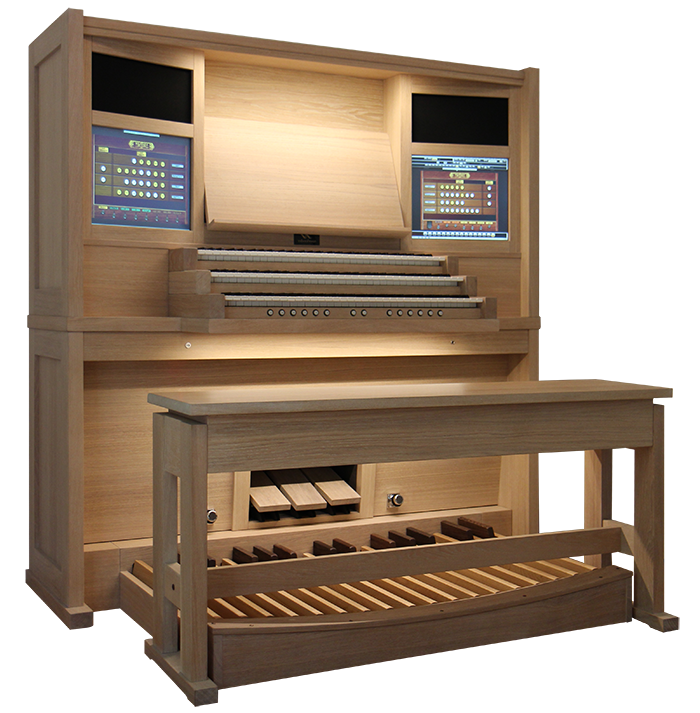 With the Sonnette III you can play majestic church organs, in your living room. 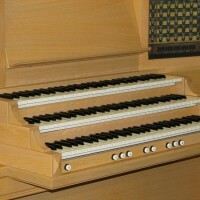 U can experience the chosen organ as if you were in a monumental charch. The tochscreens enable you to easily change between organs and to keep registering easily. By folding back the desk, you can control the computer (for instance for maintenance or updates). 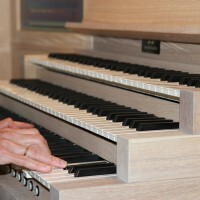 The Sonnette III has a contemporary design. 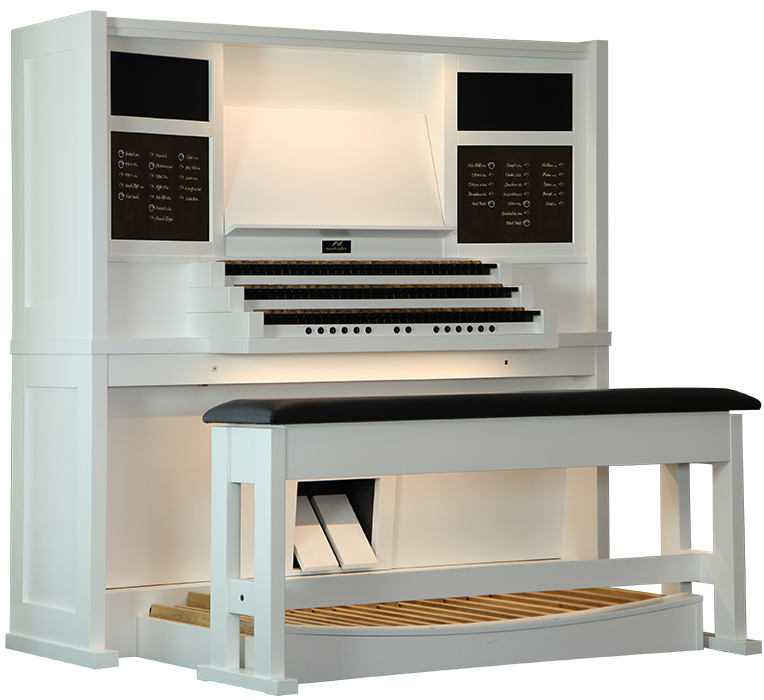 It is clearly recognizable as a classical organ, but due to the clean lines a beautiful piece of furniture in every interior. 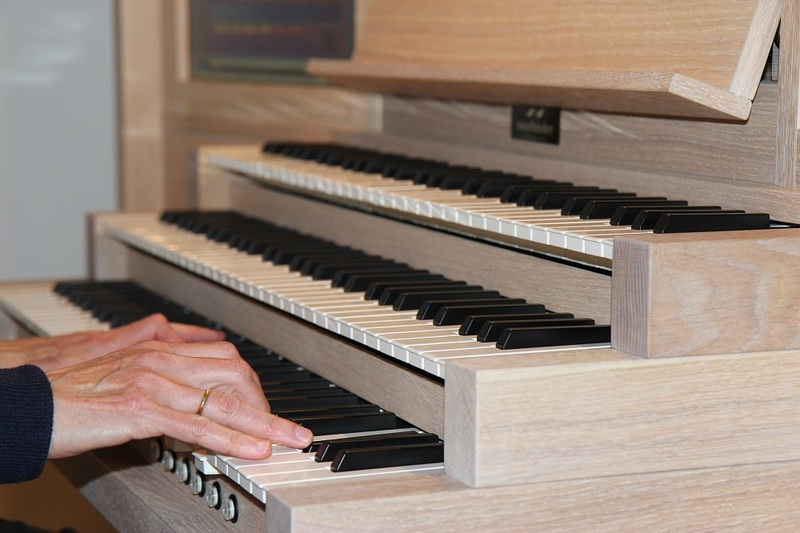 You can order the Sonnette III in a wood color or any other finish of your own choice.